Thanks to the slow demise of the headphone jack and the rise of bluetooth earphones, truly wireless earbuds market has now become a hot commodity. Some of the most popular brands including Sony, Skullcandy, Xiaomi (with the AirDots Pro) and even Honor have already joined the race. However, it’s one thing to make a truly wireless earphone and make a good one. 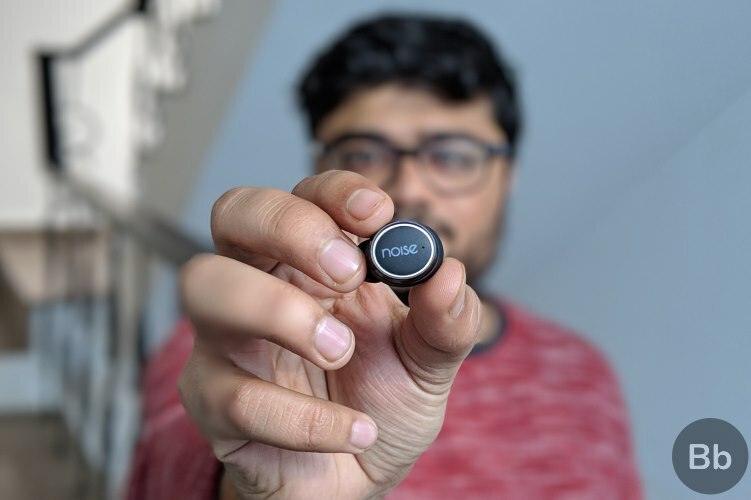 That’s where Noise, a budding brand from India, comes into the picture. 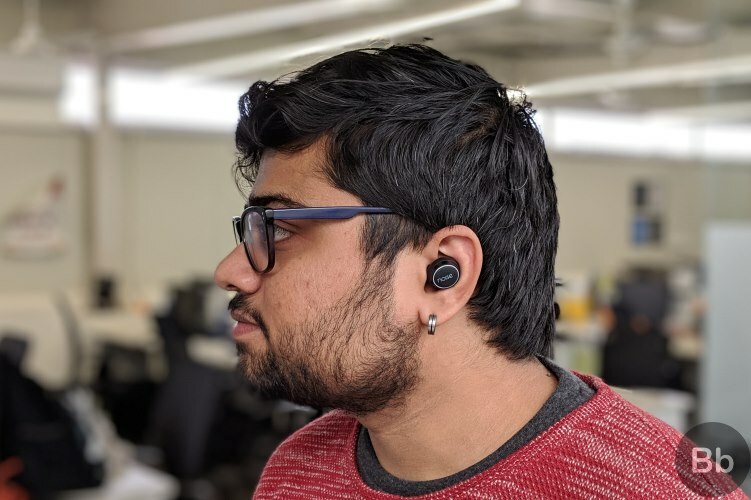 Earlier last year, Noise had lent us the Shots X5 truly wireless earbuds, which I just love, and now Rupesh is rocking as a daily driver. 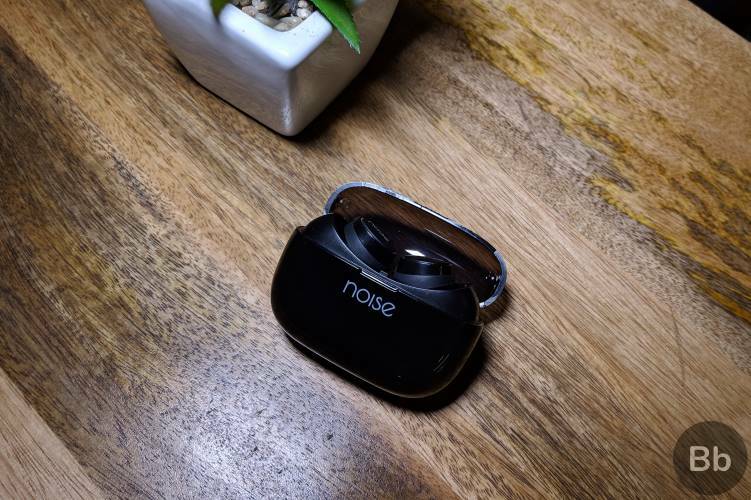 Noise has since also released a slightly affordable variant of its wireless earbuds called Noise Shots X3 Bass. Yeah, these are said to be designed to offer an enhanced bass output, but do they really? Well, Noise was kind enough to send us a pair of the Shots X3 Bass and I have been using them for the last couple of weeks. So, let’s find out whether it’s a good buy at Rs 4,000. Noise has steadily been improving on its offerings from the design perspective, if you ask me. I really liked the cute and handy charging case of the Shots X5, along with the matte finish and the handy bonus of it also being a power bank. However, the Noise Shots X3 has shed some of the bulk and extras for a simpler look. I spent over two weeks with the Shots X3 and the tiny black charging case comes in handy. but could look better. It’s easy to carry along and doesn’t feel like a burden, which is the case with a lot of truly wireless earbuds out there in the market. The case of the Shots X3 has been made out of a cheaper plastic in comparison to the X5 and I’m not really a fan of it. While the body is quite sturdy, the lid feels quite flimsy and difficult to pop open. There’s no magnetic lid here and I had my fears opening the lid here because it gives you the feeling that the hinge will break anytime. The case also smudges and scratches quite easily. If you take a close look, our unit has a myriad of scratches already but what’s surprising is that the branding and text printed at the bottom of the case has already started to wear. And that’s really disappointing to see. I would have much preferred the matte case from the Shots X5 but the plastic case here serves a purpose. 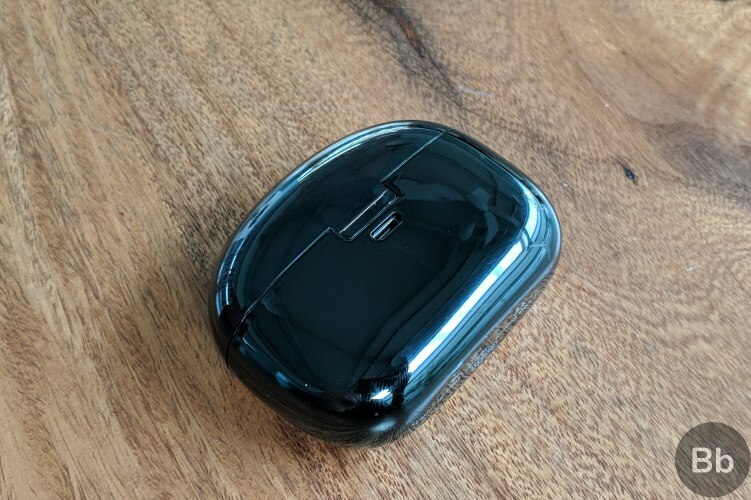 While the bottom half of the case is solid black, the lid is now translucent so you can see whether the earbuds are charging, and the amount of charge left in the case. 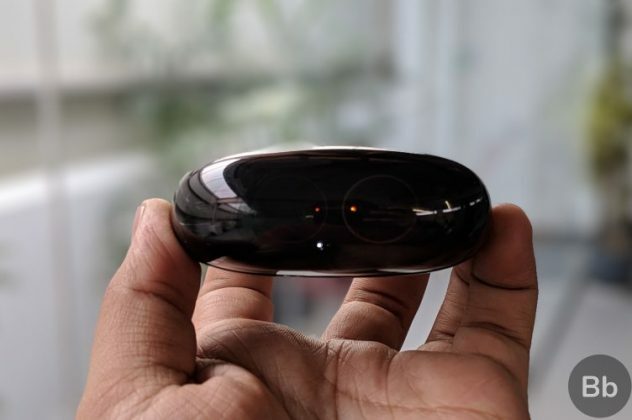 It’s similar to what we saw with the Mi AirDots. The microUSB charging port is on the rear and the LED indicators of the charging case have been moved front and center, which is much better than the single LED we saw on the Shots X5. That’s all about the case. Let’s talk about the build of the earbuds now and well, they’re quite well-built and lightweight. They weight just around 5 grams and you wouldn’t even notice that they’re in your ear after a couple of hours. They are comfortable in ear, possibly one of the most comfortable truly wireless earbuds which makes them a treat to use. You might see the lack of wingtips as a shortcoming but the fit is snug and secure, meaning the earbuds shouldn’t randomly fall out of your ears. The earbuds have a hardware button on the outside and like I’ve already said in my Shots X5 review, you need to really press down hard on them and it pushes the earbuds further into your ear. It can be a painful experience and again I would suggest the company moves to touch controls for the next-gen models. 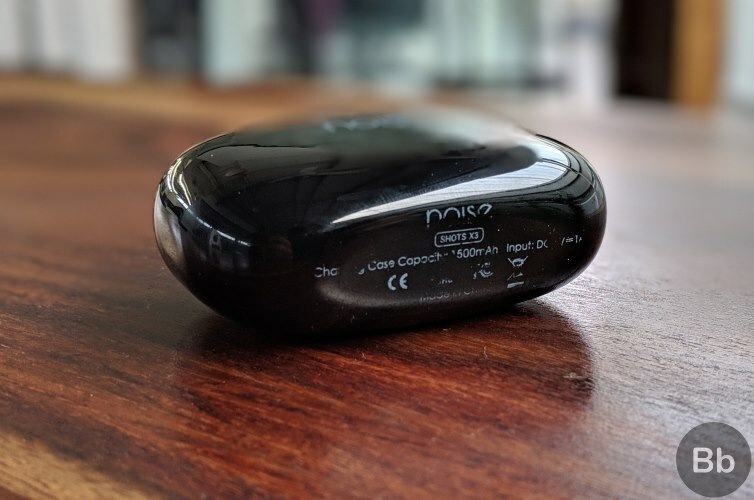 As for the controls, they are quite flush and you can control everything from calls, music playback, and even calling upon your favorite voice assistant – Siri or Google Assistant. I didn’t really use the hardware buttons much because of the problem I highlighted above but a single press would play/ pause music, a double tap invokes the assistant, and long presses are meant for next or previous tracks. One cool trick: Long-pressing the right hardware button plays the next track and the left hardware button replays the previous track. One of the reasons I truly love the Noise Shots X5 is the ease of pairing the earbuds to your smartphone or laptop. It was hassle free and Noise Shots X3 too brings that simplicity to the table. When you open the case (which you have to remember to be really careful with) and pull out the earbuds, you will see the LEDs on top glow white indicating the two earbuds have been paired with one another. You’ll then see the right earbud alternate between orange and white, which means the Shots X3 is ready to be paired to your smartphone. 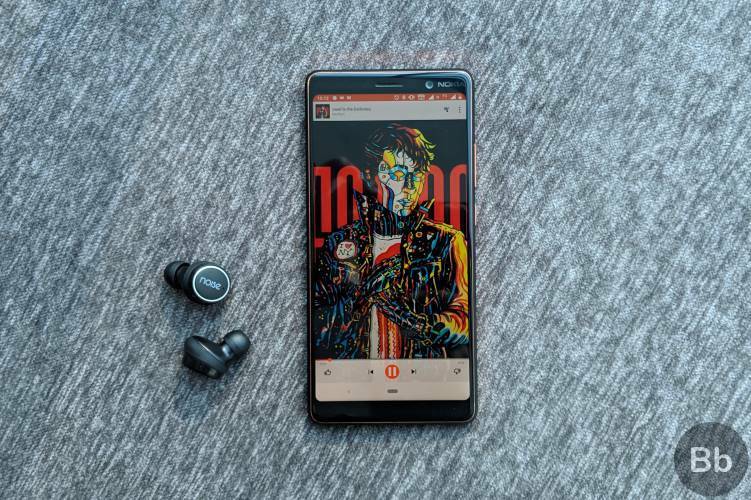 And the earbuds do connect to your devices instantly and there’s no connection drop too, thanks to the Bluetooth 5.0 protocol integration. The earbuds are compatible with both iOS and Android devices and I didn’t come across any pairing issues, however, I have a few words to say about the connectivity. Noise told us that they’ve slightly tweaked the internals, adjusting how the earbuds pair with one another as compared to Noise Shots X5. This doesn’t work in their favor though since I heard the audio drop in the left earbud, when putting it in my ear or adjusting them around. There would be occasional static and audio drop for a few seconds but the sound gets back to normal soon after. This doesn’t necessarily hinder the audio experience, which we are going to discuss next, however, it could be irritating in the long run. I absolutely loved the sound signature of the Noise Shots X5, it was warm and easy on the ears, so I had high hopes for its affordable sibling too.The Noise Shots X3 has passed the test with flying colors and a ton of thump. The Noise Shots X3 offers a great audio experience, one that can match or trump the likes of many wired headsets in the same price range. The sound stage of the Shots X3 isn’t the most well-balanced, with the company placing a lot of focus on the low frequencies here. The bass has been elevated, with bass drums being the highlight in various tracks, and that’s something EDM or bass lovers would certainly appreciate. This could, however, sometimes drown out other layered elements in a track, something which those who prefer balanced tracks may not like. It was a pleasure to go back down the memory lane, thanks to Green Day, who recently celebrated the 25th anniversary of Dookie. Longview, with its crisp bass lines and vocals, was one of the perfect songs to test the Shots X3. The bass was loud and clear, with the other instruments and vocals taking a minor hit due to it. I also listened to new releases such as Bring Me The Horizon’s Sugar Honey Ice & Tea, as well as Billie Eilish’s atmospheric Bury a Friend. Summing up the audio experience, I would say that I never had so much fun using a pair of truly wireless earbuds. 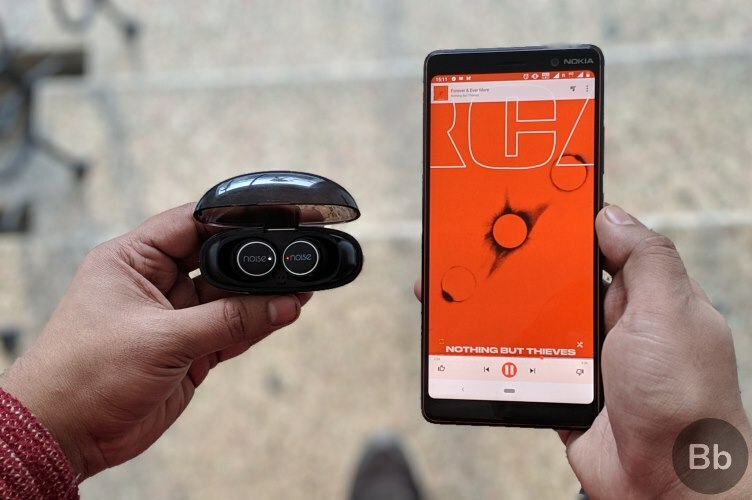 The sound signature is pretty satisfying, a bit loud for someone like me, with noticeable audio tearing at high pitches – a problem we also saw with the Mi AirDots Pro. The earbuds fit snugly in the ear and there’s no chance of them falling out randomly, even if you shake your head violently. 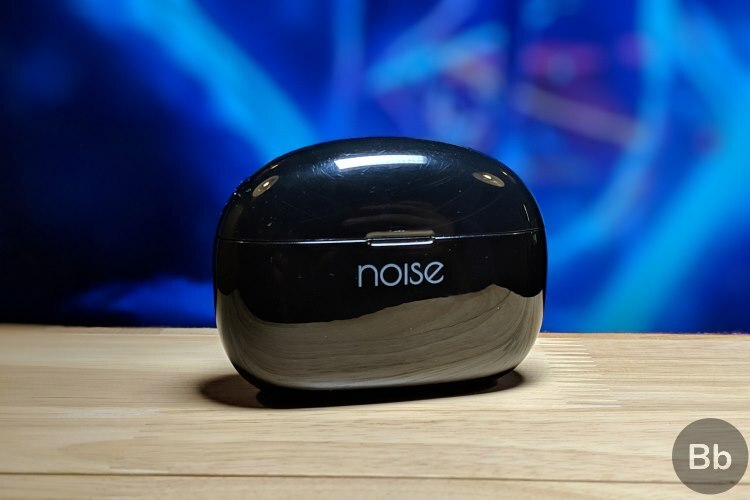 The Noise Shots X3 offer good noise isolation as well, making it easier for you to focus on your screen instead of other sounds at your workplace. You can also drown out the noisy commute crowd and I loved that. Noise Shots X3 are advertised to offer stereo calling experience, which means you’ll be able to hear the caller through both the earbuds. And though it is true and I did attend a number of calls using these earbuds, they don’t offer an experience similar to the more expensive model. Instead, it is a complete contrast. The microphone in the Shots X3 is built into the right earbud, just like the Shots X5. But it seems like the smaller size of the earbuds has forced Noise to include a different microphone unit, and I wasn’t even able to complete one call with these earbuds without the caller telling me that my voice wasn’t clearly audible. I had to pull out the earbud and place it near my mouth to be able to communicate with them, which isn’t the experience anyone expects. And no, I’m not talking about noisy spaces, where I would have given the Shots X3 a pass, but it was true even inside our office. The audio quality of the call, however, was perfectly crisp and loud. I didn’t notice any hiccup there and it’s where the stereo experience kicked in and worked well. Apart from the audio quality, the battery life of truly wireless earbuds is one of the most important aspects and the Noise Shots X3 shine brightly here. While the company touts that the earbuds will offer you 3 hours of playback time, the outcome has been better than promised. I was regularly able to get around 3.5 hours of playback using the Shots X3 earbuds, after which you have to put it in the case to recharge. The charging case comes with a 1,500mAh battery pack and it’s more than enough to juice up both the earbuds around 10-12 times. The case is obviously handy but charges painfully slowly. It took over 3 hours to go from 25 percent to around 80 percent. It is, however, manageable as you would just have to do this once every three or four days. That’s not a huge chore, I guess. I wouldn’t say that the battery life here is the greatest but it’s definitely good enough for the price. 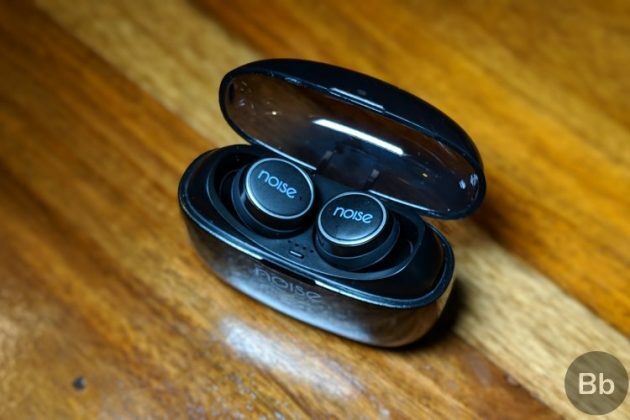 Noise Shots X3 Bass: Are These Earbuds Worth Your Money? Before I explain myself, the answer to your question is yes. Yes, it’s a good decision to buy the Noise Shots X3 because it’s certainly one of the best truly wireless earbuds, which you could pick up for under Rs 5,000. And I’m not ignoring the Noise Shots X5 that is also equally good and has its own perks. The Noise Shots X3 brings a feature-packed and rich audio experience to the table and could be termed as a bass lover’s dream. Though the build might not exactly be what I had expected, the connectivity and sound output here is remarkable. You’d probably not find an another truly wireless headset with these qualities at the same price as the Shots X3, so there’s no thinking twice here if you’re in the market for something similar. 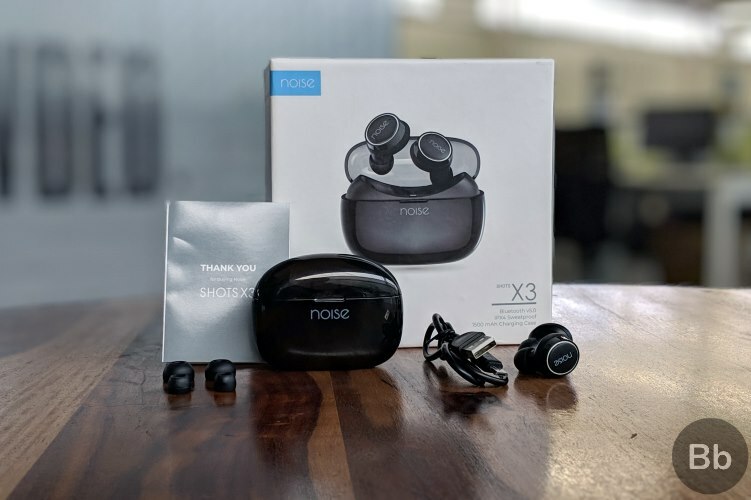 If you’re wary of the build and connectivity of the Noise Shots X3 (Rs 3,999), then you could also check out its elder sibling, the Noise Shots X5 (Rs 4,999) by shelling out a a few bucks more . However, if you would not like to raise your budget, then you can check out Xiaomi’s Mi AirDots (Rs 4,148) which are adequate too or the OnePlus Bullets Wireless (Rs 3,999) if you don’t mind a neckband. SEE ALSO: OnePlus Bullets Wireless Earbuds Review: Overpriced or Worth Buying? If someone were to ask me to recommend a suitable pair of budget truly wireless earphones, then Noise is the name I would drop instantly. It certainly is amazing how the brand has gained a strong foothold in the audio segment in India and the Shots X3 is no exception. It’s a great pair of affordable earbuds that you’ll truly love and not regret buying. So, do I have you convinced yet? Are you going to buy the Noise Shots X3 or gift a pair? Let us know your thoughts in the comments below. Like its elder sibling, the Noise Shots X3 is also destined for greatness and perhaps, huge sales. 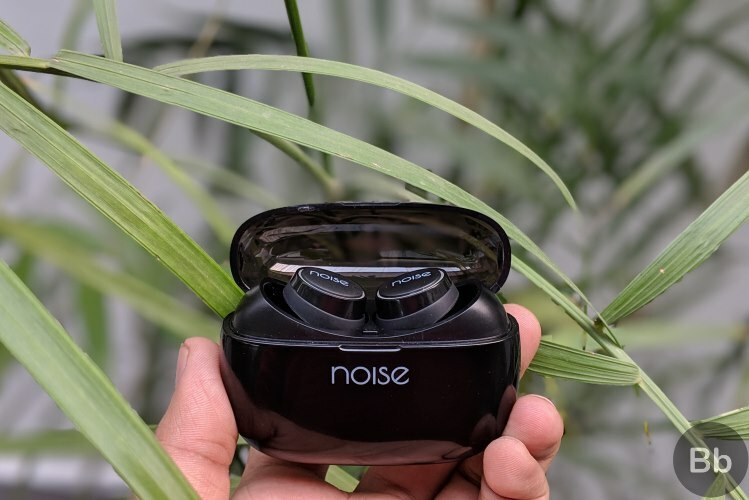 It seems like Noise knows the pulse of the market and has made wonderful truly wireless earbuds with a great price tag, a bass-forward sound signature and excellent comfort. It's also got great battery life. This is an easy recommendation!